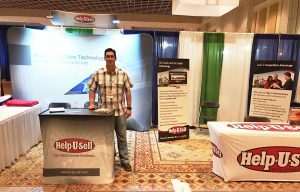 Help-U-Sell Attending the First of Three Major Realtor Conventions … Hello Florida! As 2017 was anticipated as an excellent year of growth, we sought to enhance that by participating in three major real estate conferences. The first one is in Florida is happening right now! Next month we will see you in Texas, and the California in October. 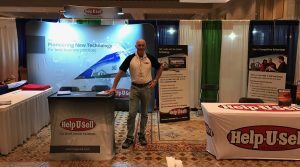 The more excitement we generate by new office openings and conferences, the more word gets out nationally about Help-U-Sell® Real Estate. This translates into more business is generated for you! 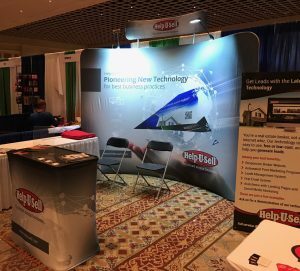 Author Lorrie CozzensPosted on August 16, 2017 Categories UncategorizedLeave a comment on Help-U-Sell Attending the First of Three Major Realtor Conventions … Hello Florida! Read the Summer 2017 of Help-U-Sell Re-Connect here. 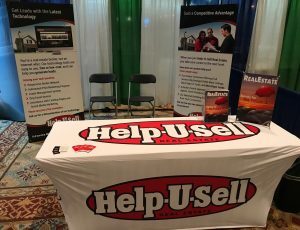 With the housing market feeling the pain of low inventory in these recent weeks, one Help-U-Sell Broker has managed to thrive during this tumultuous time. 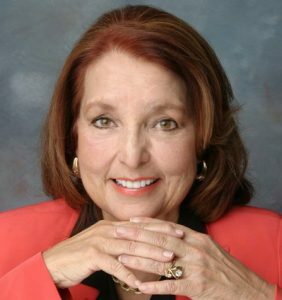 Ms. Maurine Grisso, our most tenured owner, has helmed the Help-U-Sell Santa Rosa real estate office for over 35 years. When asked what she was doing to keep listings coming, she shared some information that revolves around a familiar theme to brokers: keeping in touch. While some of her success is attributed to working the phones, other times it is intuition: “I drove by this one house every day for the last 15 years. Recently I called and inquired about it, and got that listing,” Maurine added. You can reach Maurine’s office santarosa.helpusell.com or (707) 575-4444. Terre Haute, IN (June 1, 2017) – It was an important and busy day for Ms. Brenda Fischer, Managing Broker and her team at Help-U-Sell Options Unlimited in Terre Haute, IN. June 1 marked the ten-year anniversary milestone of the franchise office, which featured a unique contest for home sellers in Vigo county to sell their home for free on the listing side. The celebration, held at Kenbell Plaza saw supporters cycle in throughout the day to congratulate Brenda and her team. “We were really surprised to see a lot of folks with whom we’ve previously done business come in with well wishes and incredibly kind remarks for us. It’s a great feeling to know the community you are serving appreciates what you’re doing and wants you here. We had a great day and I can’t thank everyone enough for making it a great success, including our friends at Ruoff Mortage, who were here offering free, onsite pre-qualifications,” Ms. Fischer said. The winner of the contest was drawn and announced live radio broadcast on HI-99 | 99.9 FM at 6 PM: Ms. Jessica Fervida of Terre Haute was the name drawn. Ms. Fervida will be able to sell her home for free on the listing side, which boasts a minimum value of $2950. For questions, please contact Brenda Fischer, 812-299-7355. Sarasota, Fla. (June 6, 2017)  As the real estate market tightens up in many areas across the country, more realtors are looking for a competitive edge in the field. Many are making their way to Help-U-Sell Real Estate, which has led to a 20% growth of new franchise offices since the last quarter of 2016. To shed some light on the market shift back to the Help-U-Sell model, John Powell, Chief Development Officer, and Robert Stevens, Chief Operating Officer, recently sat down with Maria Patterson, Executive Editor of RISMedia, to share some unique insights on the success and sustainability of the 41-year old company. Read the entire article, An Idea Whose Time Has Come, at https://issuu.com/rismedia/docs/june17_helpusell_custom_digi_mag. The publication runs 116 pages. You will find the article on page 74. Help-U-Sell Real Estate offices do not charge a traditional percentage-based commission, but rather a low set fee for services. Nationwide in 2015, the companys franchise offices saved their sellers nearly $20 million* in commissions. *Savings are compared to a 6 percent commission. Created 41 years ago, the Help-U-Sell Real Estate model was the pioneer for providing an alternative to the dated commission structure, something that had gone uncontested for years in a market overrun by a monopoly of traditional brokerage firms. Help-U-Sell Real Estate forged a revolution in the real estate industry by proactively challenging the commission structure, and has continued to perfect its full-service, set-fee model today.